I find myself amused having such different conversations in one day about the real estate market. We all are living in the same exact moment in time with the same circumstances around us and yet such a difference of how the market is interpreted. To some investors the sky is falling as cap rates are shrinking, prices are rising and rents are stabilizing. To other investors they think we are in the beginning of great opportunity with less competition and fewer investors poised to invest with the uncertainties of the market. Knowing your markets and those markets that are positioned as buyers’ market or sellers markets or flip markets, etc., is paramount to your investing success. We have a rapidly changing real estate market in play right now. What is the best strategy for investors to take advantage of this kind of changing market? We are transitioning from a buyers’ market to a sellers’ market, in what may seem like overnight. How can this happen and how do you stay ahead of the game? Once you are able to stay ahead of the rapidly changing market, you have conquered what only 3 or 4% of investors ever accomplish. Most people are so wrapped up in the individual investment that they miss looking at the big picture. 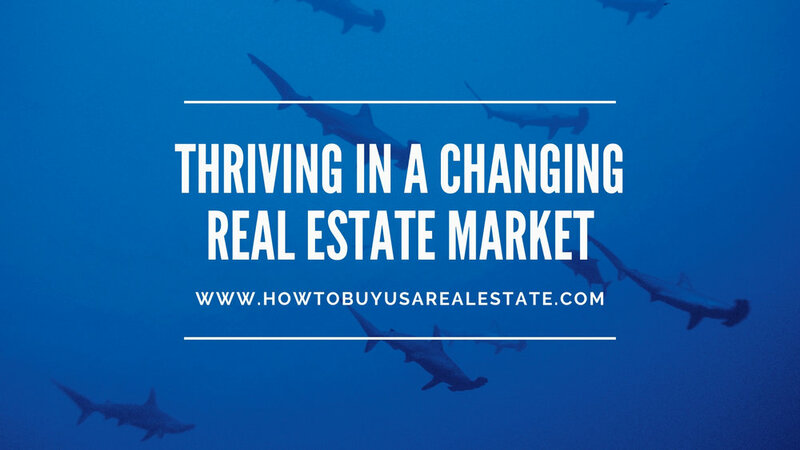 To thrive in the real estate market (especially a rapidly changing market) you want to do as seasoned investors do, S.I.B.K.I.S (See it Big, Keep it Simple). Investing is much more than just the deal; this is where most people miss the opportunity. Most just start by looking for a property that may generate a good return and then buy the one they like best. These people are looking at the small picture. Believe it or not, this part of the process comes much later. The purposeful and seasoned investors know they must look at the big picture first. What is your overall objective with the investment? Where can I get the best most sustainable returns for the investment? What investment vehicle will you use? Buy and hold, turnkey investing, tax deed investing, notes investing (it is imperative to pick a strategy and stick with it and not chase every opportunity that looks interesting. (Those who do this never end up investing at all) after you get good at one you can diversify to another. Possibly most importantly, is where are the seasoned investors investing? · You may find that the seasoned investors are often a few steps ahead of everyone else, this is because they know what they are looking for and know how to find it. · People tend to flock together in groups. Investors, especially new investors feel there is safety in numbers, if everyone else is investing in this or in that then it must be safe for you too, right? Maybe, maybe not. You may have heard the expression, “When the cream is skimmed off the top all you have left is the milk”. There is little value in the milk. The value is in the cream. · Follow the seasoned investors around and see what they are up to. Where in the market are they investing, what investment vehicles they are using, such as turnkey, buy and hold, tax deed, etc, etc. Seasoned investors tend to stay ahead of the masses and are capitalizing on investments before the masses catch up. This is where you want to be, at the top of the investment strategies. · As time progresses and the market changes, so too will these best strategies change. Keeping up with the changing real estate market is paramount in order to be on top. As they say, “it is lonely at the top” (less competition), so lonely can be great for the purposeful investor who is in the know. Here is a simple template to get you focused and create a Real estate investing plan so you can stick to it. I’ll even invite you to call me personally, if you’d like the assistance of a seasoned Real Estate Sherpa +1. 941.718.7761.